A Liberal MP says that Canada will have to "use it or lose it" if it wants to see off challenges from Russia and maintain control over its interests in the Arctic, particularly as melting ice opens up new access to resources. "If we don't assert our sovereignty, others will assert theirs and we will not end up on the happy end of that equation," said John McKay, the Canadian co-chair of the Permanent Joint Board on Defence with the U.S.
McKay was speaking to The Current's Anna Maria Tremonti about Russian moves to build a greater foothold in the Arctic region, which is believed to hold up to one-quarter of the Earth's undiscovered oil and gas. 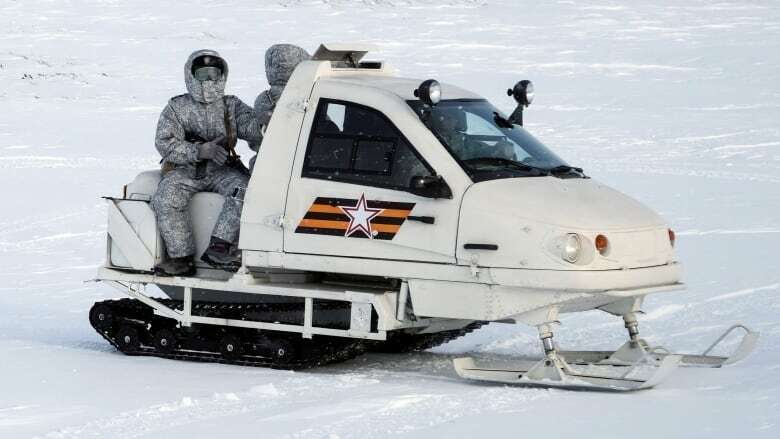 Last week, media were invited to tour one of Russia's newest military bases, Severny Klever. 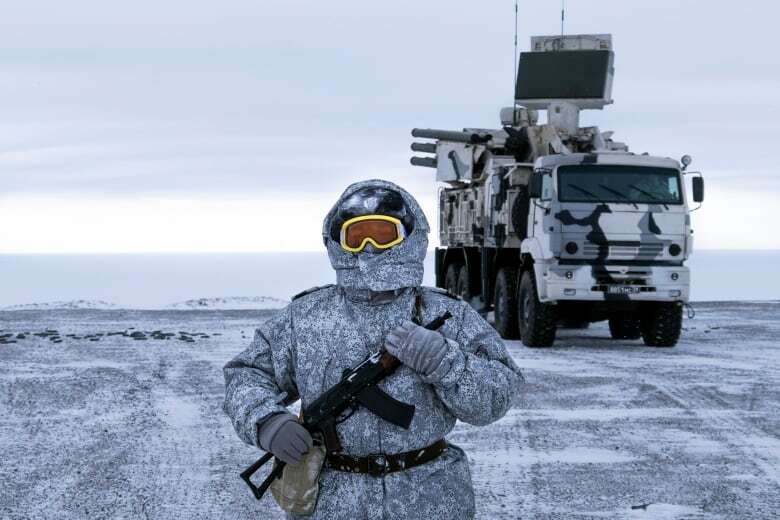 Strategically located on Kotelny Island on the Arctic shipping route, the outpost is a permanent home to 250 personnel, and protected by missile launchers and air defence systems. On Tuesday, President Vladimir Putin put forward an ambitious program to secure Russia's foothold in the Arctic, including efforts to build new ports and other infrastructure facilities and expand an icebreaker fleet. Russia insists that it is simply focused on defending its Arctic assets, but last month U.S. Air Force Gen. Terrence O'Shaughnessy, commander of NORAD, called on both U.S. and Canadian policy makers to think about whether they're doing enough to counter Russian threats in the far North. "It's clear that the Russians have made a significant decision: to open an Arctic command, and four new brigades up there, and 14 new operational airfields, and 16 deep-water ports, plus icebreakers," McKay told Tremonti. "If we don't counter that decision, along with our American allies, then we will have even greater challenges in the future." McKay said that the Earth's warming climate has "changed everything" when it comes to Arctic sovereignty, and accessing the resources that were previously locked under the ice. "A lot of our issues of dispute have been literally frozen, and they are no longer frozen," he told Tremonti. He cited the Northwest Passage as an "obvious example" of a contested resource that could prove to be "a flashpoint" in future. "Most regard it as an international waterway; we regard it as a domestic waterway," he said. "If it is domestic then we can set ourselves with respect to resource extraction and environmental protection and transit." But McKay said that while climate change is opening up opportunities, it also poses challenges. "You literally have immense military and security challenges in simple things like siting a base, or siting a fuel depot, or siting a runway. "You build a wharf, and a few years later the wharf is underwater, or it's stranded in land." Written by Padraig Moran, with files from The Associated Press. Produced by Idella Sturino and Danielle Carr.